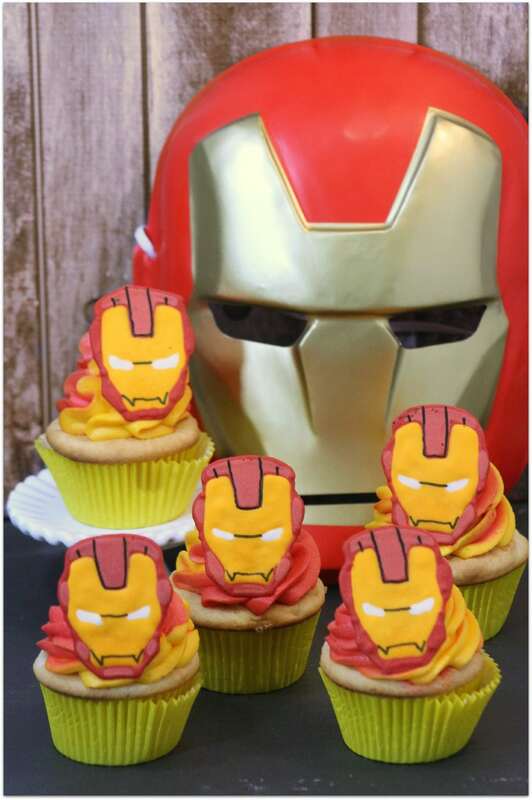 Who's ready for Iron Man Cupcakes? Which team are you on? Just about every kid wants to be a superhero at some point in their life. There is something very magical about having super powers. As Chris Hemsworth said in the first Thor movie, “Our ancestors called it magic but you call it science. I come from a land where they are one and the same.” I say let them dream, let them pretend, and watch them soar. Everyone is a superhero to someone. Oh, and let them eat cake! 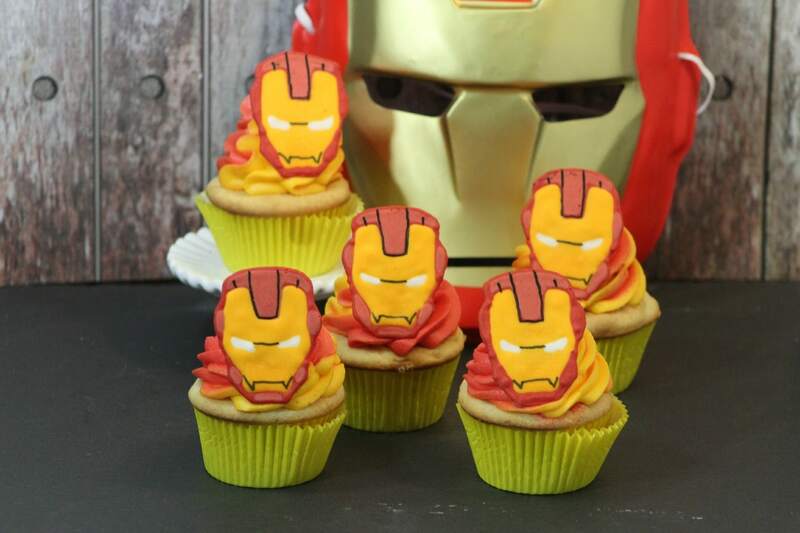 These Iron Man Cupcakes are perfect for celebrating the newest movie from Marvel, and the first in phase 3 of Marvel’s Cinematic Universe line-up. Captain America: Civil War. They are also perfect for your superhero’s birthday or class party. Regardless of where you serve them, everyone will love them. Except maybe those on the side of Captain America. 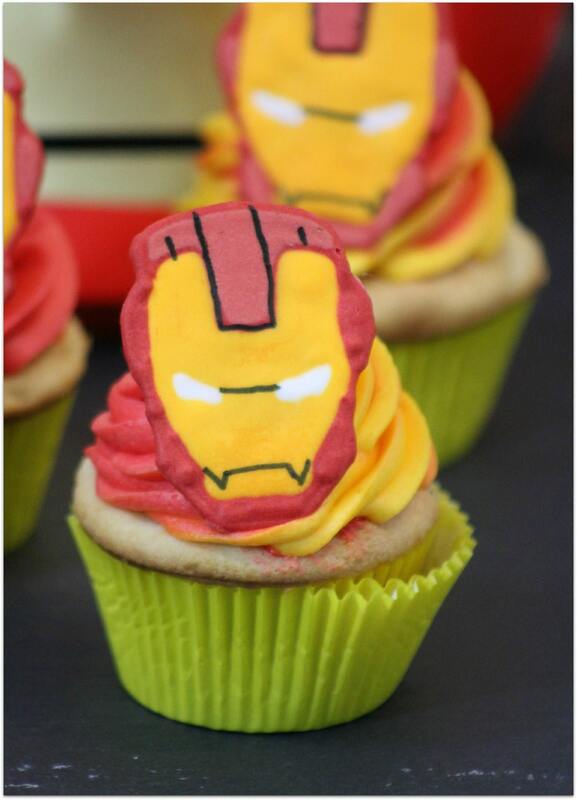 These Iron Man cupcakes do take a little time, but it will be worth it! The mask will have to dry for 5-10 hours, so make them ahead of time so they will be ready to place on the cupcakes. -Preheat oven to 350 degrees. Line cupcake tins with paper liners. -Sift flour, baking powder, salt, and baking soda. -On medium high, beat the butter for 30 seconds. -Add the sugar, vanilla, and almond extract to the butter and mix to combine. -Beat after each addition of the egg whites and eggs, one at a time. -Add the flour mixture and buttermilk alternating each one to the butter mixture on low. -Scoop the batter till 3/4 filled in the lined cupcake tins. -Bake at 350 degrees for 20-25 minutes. -Allow the cupcakes to cool for 10 minutes before removing from the cupcake tin. -Place on a wire rack to cool completely. -Cream the butter and powdered sugar until it looks light and creamy. -If it doesn’t cream add several drops of the heavy whipping cream until it creams. -Test to see if the frosting can form and hold a stiff peak by taking a spoonful of frosting and turning the spoon upside down. If the frosting stays on the spoon it is ready. If not, add more powdered sugar 1/2 C at a time. Mixing well. -Divide the frosting equally into two bowls. -In the first bowl add several drops of red gel food coloring. Mix well. -In the second bowl, add several drops of golden yellow gel food coloring. Stir to blend the colors. -When ready, scoop the red frosting first into a pastry bag, adding the golden yellow frosting into the same bag with a large tip. You will want them side by side in the bag. -Twist the open end of the pastry bag to push the frosting to the tip. -Test to make sure that both colors come to the tip at the same time. -Start the frosting on the outside edge of the cupcake working to the center of the cupcake. -If icing is not stiff enough add 1/4 C powdered sugar. – Spoon the icing into a bowl. -Take out 2 TBSP of icing and leaving it white. – To the first bowl, add red gel food coloring, stir to mix..
-To the second bowl, add golden yellow gel food coloring, stirring to mix. -Locate a picture of Iron Man‘s Mask on Google. Print the page in color with several small images of the mask on it to a cookie sheet. -Tape wax paper (covering the copies of the mask) to the cookie sheet . -Using a small pastry bag filled with the white royal icing and a #2 tip, fill in the eyes on the mask with the white icing. Allow this to dry for 30 seconds. -Using a small pastry bag filled with the golden yellow royal icing and a #2 tip, start by outlining the inner part of the mask. Fill in the outline of the inner mask with the golden yellow icing. Allow to dry for several minutes. -Following the picture use the Wilton Foodwriter to make the black marks on the mask. -Allow to dry for 5-10 hours. -To ensure the mask is dry, gently touch one of them with your finger. If it allows you to push in on the icing, give it a little more time to dry. If the mask is dry, it will feel hard. -Cut the wax paper holding the completed mask into squares surrounding the completed design. -Once the mask is dry, carefully peel the wax paper off of the back of the images. – Place on the frosted cupcake. 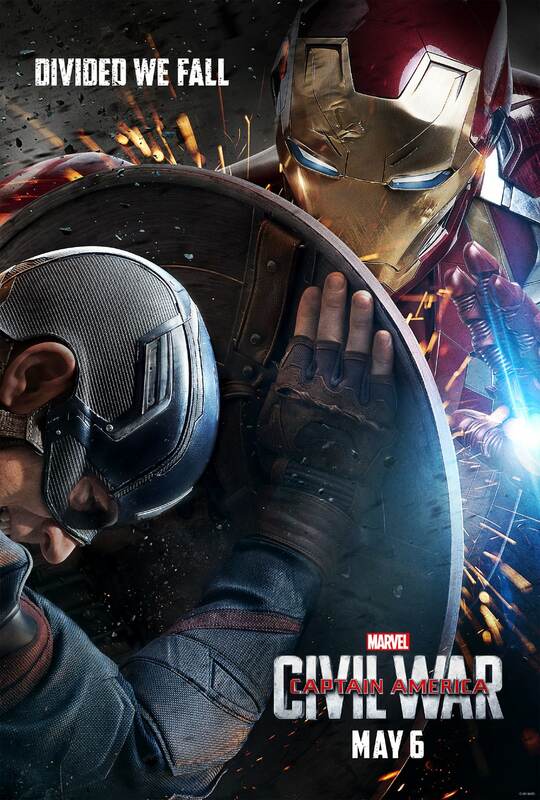 Take a look at the Captain America: Civil War trailer! It’s totally amazing! CAPTAIN AMERICA: CIVIL WAR opens in theatres everywhere on May 6th! 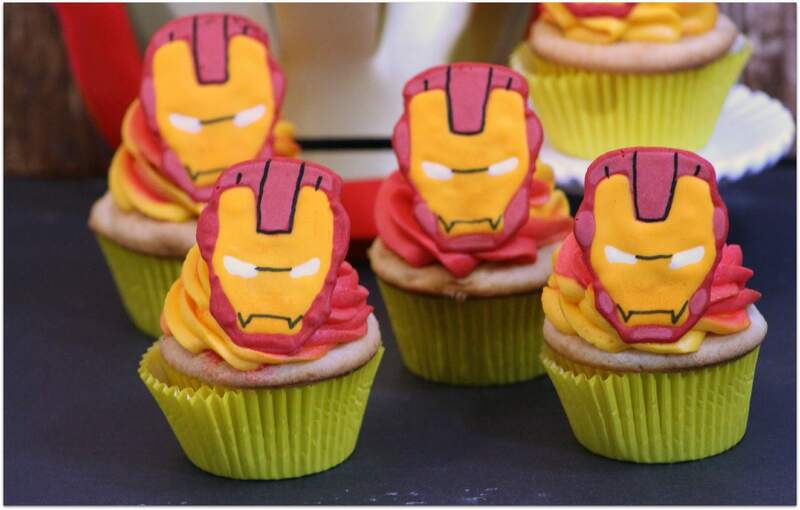 Celebrate by combining these Iron Man Cupcakes with these Captain America Cupcakes!